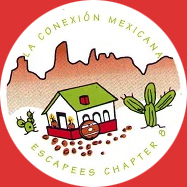 One of the most important and satisfying missions of Chapter 8—The Mexican Connection—is the charity donations in U.S. dollars and in-kind that we give the Mexican people in the areas of each of our annual Rallies. 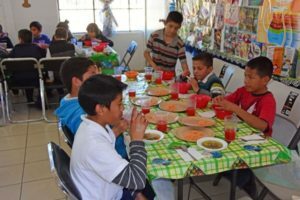 Over the years, we have supported schools, orphanages, old people’s homes, kid’s sports organizations, handicapped children’s schools, health clinics, Cruz Roja/Mexican Red Cross, children’s feeding programs and many other worthwhile institutions. The Wagonmaster, during their pre-Rally scouting trip(s), puts out feelers for possible recipient organizations for charity donations and during the Rally, the Charity Committee seeks those out plus finds other institutions. We do not give to individuals. The Charity Committee has 5 voting members—the Chapter President and Treasurer, and 3 Rally participants, one of whom will be the Charity Committee Chair, chosen by the President and Wagonmaster. All Charity Committee members have previously indicated an interest in Charity and a willingness to give their time to make the Committee’s work effective. All Rally participants are asked to bring charity items that are always in demand at any location: school supplies (binder paper, computer paper reams, rulers, pencils etc), toys for all age children, sporting goods (soccer balls, basketballs etc), usable laptop computers, new or used clothing in good condition especially for babies, children, teens and also for adults, beauty and health care products (soap, skin crème, shampoo, toothbrushes & paste, and baby and adult diapers. Nights can be chilly anywhere in Mexico and sweaters, jackets and blankets are always needed. Foods like peanut butter, cereals, bags of rice and beans and canned goods are always welcome. Eyeglasses and hearing aids in good condition are great too. Please do NOT bring old and useless items—especially old worn out clothing. Rally participants have always been extremely generous, not just with dollar donations, but with in-kind items as well. We hold a live auction on each Rally, and usually a silent auction, to raise more charity dollars. We ask Rally participants to bring items in new or very good condition, usable for RVers: wine, food baskets, liquor, famous products from your home state or province, jewelry, beads, handmade items, special crafts items including those made in Mexico and much more. Our auctions are always a lot of fun and we usually raise a good amount of money for charity purposes. On the 2017 Rally, our charity auctions raised over $4700, an amazing amount that was put to good use in the community! We gladly take pesos, dollars, checks in payment!